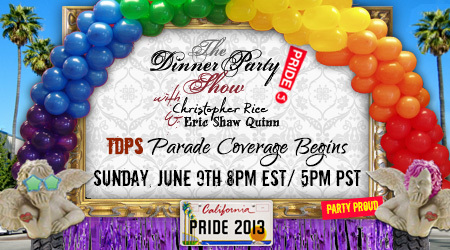 With help from their deranged “special correspondents”, Christopher and Eric provide coverage of West Hollywood’s fourteen-hour Gay Pride Parade. Critic-at-large Jordan Ampersand spars with anti-gay protesters and newly sober best friends. Fairly imbalanced newsman Breck Artery interviews activists who’d like to set the gay community back twenty or so years. The Restless Leg Dancers finish things off with a particularly jumpy performance.